To hear Google talk about it, the secret to generating traffic to your website is to provide interesting and relevant content. While in the past it was possible to simply stuff a web page with keywords and move up in the search engine rankings, Google’s done a pretty good job of recognizing when a page really is or isn’t relevant. Good content and good content alone should be a driving force in your overall SEO strategy. Yet, there are other elements involved in SEO that don’t directly relate to the content itself. The search engines look at some other on-page factors to sort the good from the bad. Understanding the aspects of SEO that aren’t content-related is important, too. This is, often, the holy grail of SEO. Having incoming links from multiple sites with a decent PageRank will boost your rankings, as well. The problem comes in generating these links. There was a time when you’d pay a site to put up a link to your page and it would generate both traffic and a higher ranking in the search engines. Thankfully, that practice has been dismantled. Today, incoming links should be more organic, according to Google and the other search engines. Submitting guest posts to blogs in your niche. Sharing links via your social media channels, and encouraging your friends and followers to re-share those links as well. Choose timely and interesting topics. Incorporate other media besides content, such as images, videos, infographics, and the like. The TITLE tag is one of the most important on-page SEO elements you can use. It’s still used regularly by the search engines to help rank your page for a given keyword. Make sure that all of the page TITLE tags on your site are unique. You can track duplicates in Google Webmaster Tools under Diagnostics and then HTML Suggestions. The META description doesn’t have any direct impact on search engine rankings, but it does impact rankings indirectly. It will determine what the short description of the page is that appears in a Google Search, which will then dramatically impact your click-through rate. This one is often missed, as well. 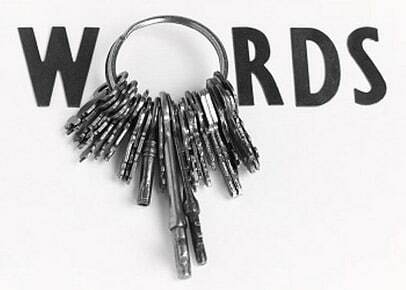 Your internal links, especially your main navigation links, should be keyworded. If you’re trying to rank for used hammocks, labeling the link to your hammocks pages by price (e.g. under $50, $50-$100) is a poor anchor text. The same goes for images. The alt text you use should include keywords whenever possible. The alt and anchor text you use should include plain, common language, and match up with your overall keyword strategy. This point is contended by some in the SEO world. The bottom line is that, if you’re going to link out, you should link out to sites with decent authority in your niche. Linking out to low-value sites will actually bring down the value of your site. If you’ve got a site that includes lots of product information along a wide array of lines, you’ll often find yourself in a situation where given pages are four or more links away from the home page. This is a problem because when Google looks at your site it starts with your home page. Each subsequent layer of your site has more pages, and may rank lower. There are a couple of ways around this. You can shoot for a flatter permalink structure, which can help with SEO but may be a burden to visitors trying to navigate your site. The other option is to frequently create internal links from the home page into those deeper pages. Either way, your tree structure should be no more than four levels deep, if at all possible. Getting Google and the other search engines to recognize your site and place you higher in the rankings starts with quality content, but it doesn’t end there. Consider implementing these SEO techniques today to increase your search engine rankings, drive more traffic to your site, and boos your overall business. Dominick Frasso is the SEO/SEM Specialist at Vistage International, an executive coaching organization that helps CEO members build better companies through unique business coaching. From my opinion if someone wants to see result in their favor for their website then he/she will need to make Backlinks for see good result. That’s very true Pushkartour. Thanks for the input. I been reading a lot of articles and blogs regarding this topic, top 10 tips, top 5 essential techniques for SEO, this article is the one I find it covered the most essential and yet not too difficult to understand tips for SEO leaner. Thanks! Thanks Amrik. Glad you found the blog post interesting. Thanks for sharing this informative post ! I agree with your point that site navigation must not be too deep because if subsequent layer of your page has more links then it may rank lower. These type of topics are easy to read but difficult to implement. I am sick of finding sites with a decent PR to comment and guest blog upon. Some bloggers due to excessive spam, make the comments nofollow. You need to be careful with number 3 after the Penguin update. If you use the same keyword anchor text over and over you probably received a penalty. Use a variety of anchor text and keep it natural by linking to the brand and the full URL. That’s right Nick, a little variety in the keywords will be appreciated by Google and your reader! The above article is pretty much a no brainer but those tips are necessary for you to generate more traffic to your site. I have to agree with Nick Stamoulis regarding the last Penguin update. Google has changed its algorithm in ranking sites, and poor keyword anchor text usage will be penalized. Point about deep linking in navgiation was new for me. I will implement it for sure. Nowadays,writting viral content is the best seo tactic… Good post! Time are ever changing and so is google. Thanks for this wonderful post as this will help a lot of marketers plot out a good SEO plan. I think good content is important. But I think having an audience that is willing to come to your site and see what you have to say over and over again, is even more important. And perhaps that is the real key to success? Yes you are right David, SEO strategy is a part of a general marketing strategy that has first determined the target audience who would find value in the content you’re providing. Thanks for pointing this out. Ofcourse these are very important. 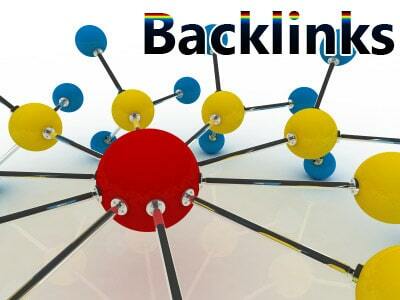 Backlinks are and will be vital in SEO forever. As always, blog commenting (mostly on relevant and related blog niches) and using social media sites as some of the SEO strategies are my favorites, of course aside from doing posts. Thanks for sharing! Improving website ranking by organic way is much hardworking task for that have a much of patience. For more traffic – we have to start link building from related niche and have to provide interesting & relevant content as you say. Finally, these are the most useful SEO techniques for better organic traffic. covered some good basic points, useful for anyone new to SEO.